Bank accounts are an essential part of everyday life in the 2000's. If you don't have a bank account it can be harder to receive money owed to you, such as salary or benefits, it can be difficult to pay for things like bills, or purchases made in store or online, and it also makes it harder to keep track of where your cash is going. So at some point most of us will want a bank account of some kind. But with so many different banks and types of account around, it can be really difficult to know which one best meets your needs. Be deposit-based - i.e. for every amount you put in you get some back. However each banking authority will have different rules and restrictions on each account – for example, some banks don’t allow people with basic bank accounts to access telephone or internet banking – to do so you have to upgrade to a current account, but only if you are eligible! Other banks don’t pay out cash amounts of less than £250 over the counter – you’ll be redirected to the cash machine if you try to draw it out inside the branch. In terms of overdrafts, you might find that one bank will allow you a £1000 overdraft facility immediately as you open the account - another might allow you to go up in £50 increments over a number of months and others might not let you have one at all. 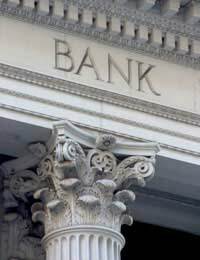 There are so many differences it really is worth going over any banking account information with a fine toothcomb, and make sure it fits your needs before you put your name on the dotted line. It’s a legal requirement in the UK for banks to confirm the identity of a customer before they allow them to open a bank account. Most financial institutions rely on independent guidelines set out by the Joint Money Laundering Steering Group. Usually they will include be government issued forms of ID, such as a passport or driving licence. So first of all, you’ll need to prove who you are and where you live, before you can get a bank account. A record of fraud, previous bad credit (including CCJs and Default Notices), age (too young), Undisclosed Bankruptcy and failure to prove your identity or your address are just some of the reasons you can be refused a bank account in the UK. In the case of most basic bank accounts a minimum monthly credit is not usually specified so you can put in as much or as little as you like. For many years this was also the case with current accounts, however in 2007 several banks announced plans to charge customers with current accounts who credit less than £1000 per month a £10 monthly charge for ‘administration’ of their account. Account charge: Make sure you understand any fees you need to pay for the account you’ve chosen. The more features your account has, the more likely it is that there will be a charge. Check whether this charge is paid monthly or annually. Paying in cheques: How long do cheques take to clear once you’ve paid them into your account? Bankers Drafts: Are they applicable to your account and if so, are they chargeable? Authorised Overdrafts: Find out what the standard overdraft rate and rate of interest on overdrawn balances is. Also ask if there is an arrangement fee for overdrafts. Unauthorised Overdrafts: What are the consequences of becoming overdrawn without authorisation? Normally you will be expected to pay interest on the amount that you are overdrawn, as well as an unauthorised overdraft fee, and if you should have any direct debits or standing orders refused because your account has gone into a debit balance then you can pay a hefty fee for each of those too. Interest rates: What interest rates are applicable to your credit balance?Once you have answered all these questions you can go ahead and make an educated choice on the type of bank account you want to open.